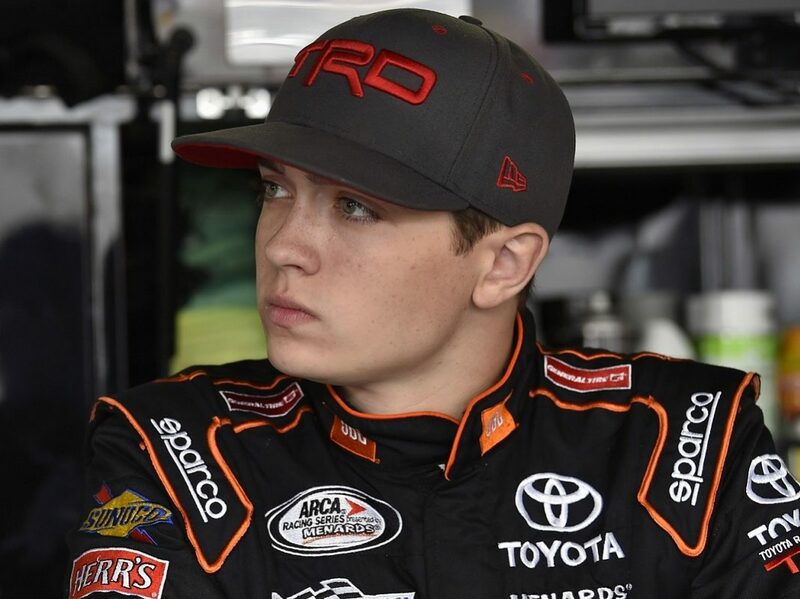 DAYTONA BEACH, Fla. – Making his first start at Daytona Int’l Speedway, Christian Eckes earned the pole for Saturday’s ARCA Racing Series opener during qualifying on Friday afternoon. Eckes was in the fourth of six qualifying groups to take time during Friday’s group qualifying program at the 2.5-mile speedway. Running at the tail of the group, Eckes shot to the top of the speed charts on the third of three laps with a 49.180-second lap at 183.001 mph and stayed there for the duration. 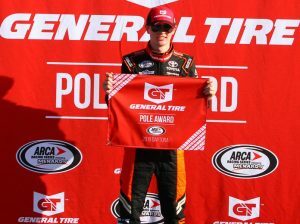 Friday’s effort by Eckes marked the third year in a row that Venturini Motorsports has started from the pole at the World Center of Racing. Thad Moffitt, the grandson of NASCAR Hall of Famer Richard Petty, qualified second for the Empire Racing Group in his first qualifying attempt at Daytona Int’l Speedway. Running in the third group, Moffitt’s best lap of 49.264 seconds (182.689 mph) was .046 of a second off the pace set by Eckes. Leilani Munter qualified third in another Venturini Motorsports entry, followed by reigning Daytona ARCA runner-up Willie Mullins and another Daytona debutant, Harrison Burton. Eckes, Munter and Burton all drive for Venturini Motorsports. 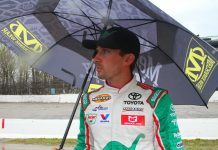 Defending Daytona ARCA winner Michael Self qualified sixth, giving Venturini Motorsports four cars in the top six spots. Eckes said you can expect all four Venturini drivers to work together during Saturday’s race. Natalie Decker, Travis Braden, Andy Seuss and Connor Hall completed the top-10 in qualifying. The Lucas Oil 200 Driven by General Tire is scheduled to begin Saturday at 4:45 p.m. EST, but weather is expected and could delay the start of the race. For a look at the complete qualifying rundown, advance to the next page.